5G need a connected and coordinated team of consultants, developers & designers. I always recommended or alerted for 5G aspirant. 2. Though 5G arhitecture is flat but it is complex and convoluted. 3. For jumping into 5G create your team of consultants. 5G is expected to deliver unprecedented performance in terms of transmission capacity and packet transit delays, enabling new applications and services in areas as diverse as the Internet of Things, augmented reality and the Industrial Internet. To dynamically define the features supported by the infrastructure and the ways in which these features are managed. DevOps can be used to optimize a software delivery cycle, including everything from feature development to operations across disciplines (development, customer engagement and operations) through to continuous delivery (CD) practices. Focusing on automation and lean management practices enables flow control and transparency across the cycle. The organizational and administrative interfaces between the different actors within the 5G ecosystem must be easy to traverse, with appropriate software to secure continuous automation flows. In a 5G context, the word software refers to both the actual code of virtual network functions (VNFs) and models describing the infrastructure and execution environments hosting this code. While software flows clockwise through the cycle, each stage provides feedback to the previous one (counterclockwise) to allow for software quality improvement and process optimization. The architecture plays a significant role in building, deploying and operating complex systems. In NFV, it describes how high-level functions typically developed by different teams or open source projects can be interconnected and packaged together to provide a service. Capabilities defined by the NFV MANO architecture  allow for dynamic configuration of parameters, dimensioning and scaling a service to reach a wanted set of performance indicators or policies. Experiences and insights from implementing the automation, optimizing the software delivery cycle and operations are then used to drive the architecture management and improve development and testing of individual functions in a DevOps deployment. DevOps is an interactive approach to product management, development, deployment and operation that stresses communication, collaboration, integration and automation. Working together with the customer every step of the way, the DevOps approach begins with requirement setting and continues through development and operations. Continuous integration – Automated process of secure and frequent integration of source code into source baselines, and binaries into system baselines. Continuous delivery – Automated process of secure and frequent internal provisioning of ready-to-install software product versions of integrated software. Continuous release – Automated process of secure and frequent provisioning of delivered software product to external customers and clients. Continuous deployment – Automated process of secure and frequent production, testing and/or monitoring, and deployment of software products to customer equipment in a live environment. 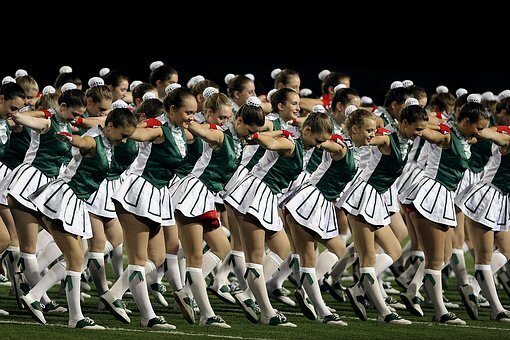 For Detailed article click here. The stringent requirements of 5G networks are driving the need for further adaptation of existing DevOps practices and toolchains to the telecom industry. Our work with the open source and academic communities demonstrates how to address the 5G challenges related to the evolution of classic telecom fulfillment and assurance processes toward DevOps-powered cycles. Doing so requires an architecture that supports automated deployment and operations, using powerful description languages tailored to different system dimensions that can capture constraints and feature specifications. Transparency of state changes and transitions throughout the architecture enables efficient operations. Our experience in the OPNFV community shows that CD practices including feedback loops throughout the technology stack and across organizations are key to a successful DevOps implementation. Shall I be excited on 3GPP standardizing on 5G? 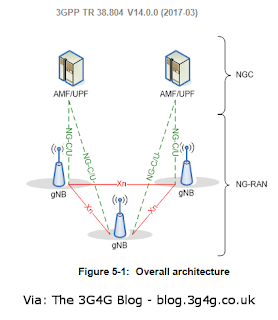 I found a 3G4G blog today on linked-in and found an interesting figure there, although i am aware of Non standalone architecture for NR (5G radio), also guess, I already written on it but my excitement prompted me to write more. This way was appreciated by then juniper CEO Mr kevin Johnson. But when I see, 5G standards are moving in same line, I find myself boosted. I was also a strong supporter of convergence/aggregation at local level and finding that has also taking the important place in 5G network standards ( like MEC or edge). The figure depicts the strict separation of control plane as with new node AMF/UPF and SMF. 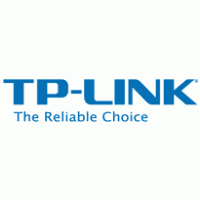 Which provide functionality of Access management, session management and user plane management. People who were in touch with me for last 3-4 years already knows, how i always advocated for complete separation of control and data plane. My blog is filled with this, those who follow knows. Now at last, i just copy pasting from 3g4g blog, what my unknown friend Zahid has put there... may be creating more excitement on me. Core network user plane handled by single node UPF (User Plane Function) with support for multiple UPF serving the same device and hence we avoid need for a common SGW used in LTE. UPF nodes may be daisy chained to offer local breakout and may have parallel nodes serving the same APN to assist seamless mobility. Leveraging operational and machine intelligence to transform the customer experience. Good one from tmforum-- thought to keep in my blog here, a good cue in data analytic and machine learning from guava's Chief scientist. "Traditionally, most software companies base their IP on classic computer science algorithms, which pertain to computer architectures, data structures, manipulation and machine usage, etc. This extends to machine learning (ML) where it is often tempting to adopt a “big data” mentality, wherein one starts with whatever data is available and applies various modeling algorithms to see what emerges." Today, ML is only as good as the data you use to train it. Machine Intelligence (MI) is the next step and it represents the ability of the machine to extrapolate from raw, disparate data to create new valid information that cannot be discovered by applying a machine-learned model. "CSPs have come to realize the value of analytics. We are now seeing diversity in the use cases, which lead to a definitive ROI. One use case that has risen in popularity over the last few months is network resource optimization. 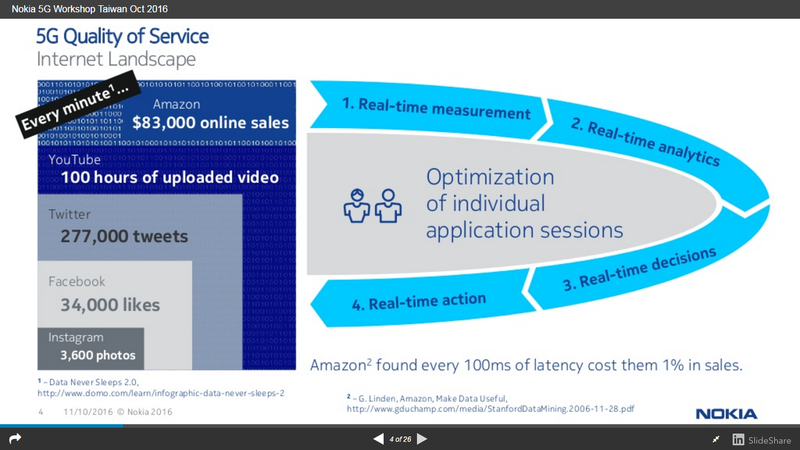 By applying analytics to predict what the network utilization will be at a given time of day, CSPs can determine how best to dynamically deliver high bandwidth consuming applications over their edge networks. 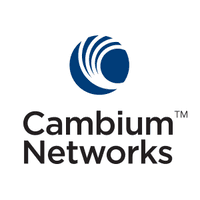 This extends the optimizations beyond the reach of CDNs (content delivery networks), for example. For mobile operators, this means that the analytics can pinpoint how subscriber-specific data traffic and radios in RANs (radio access networks) should be managed at any given moment in order to optimize the experiences of all subscribers currently connected to each cell tower." Does Nokia Corroborate with 5G as "Application Defined networking". 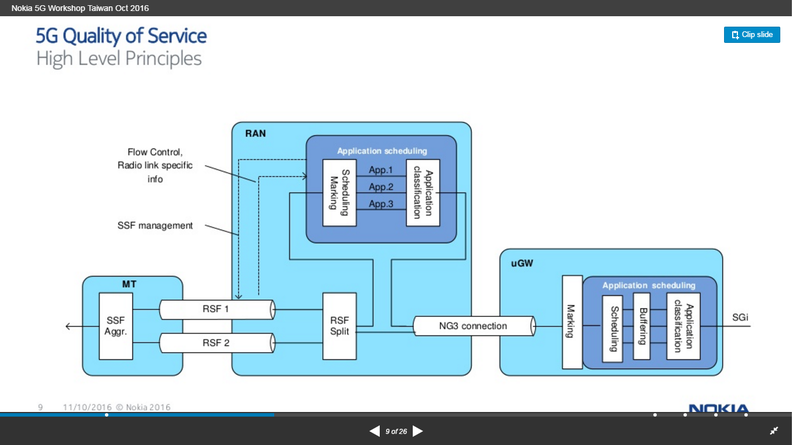 I happened to be stuck with a Nokia presentation on 5G QoS nuances and requirement for network slicing and latency. The presentation was available in slide share, shared by Eiko Seidel ( My unknown friend from NOMOR). 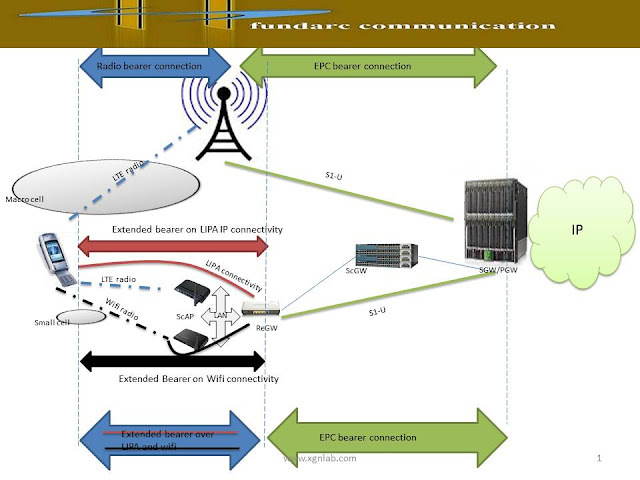 I being an strong advocate for 5G networks as "application defined network", since the beginning, found excited here and wanted to share some of the salient aspect of the presentation, which corroborate my concept. In the very first screen the presentation take the following norm while talking about the 5G QoS. QoS being taken in 5G as optimization of individual application sessions. Looking at the internet landscape, it is found that diversity and versatility of applications require real time and dynamic management for QoS. 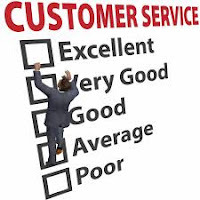 Also that, operator loos insight into real time customer experience per application, and ability to manage it. Although it is need to be bore by application developers, devices vendors and content owner too, but operator's are taken as the real respondents. Also the QoS frame work in LTE is static and does not handle the dynamic aspects of application and not optimize the network in line of application efficiency. The bearer definitions are limited and provide an scalable framework which is dealt differently at different network level, like QoS parameters set at the core has to be catered by the RAN in its own way of implementation. This does not provide a right or efficient mapping for each and every application. Now looking at how nokia set the high level principle to define 5G QoS framework. And this is defining the new architecture at high level as per nokia too. 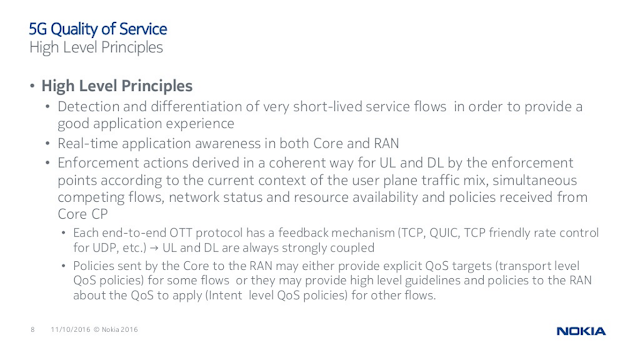 This about real time Application awareness at core and RAN both and dynamically apply the QoS. This will require real time analysis and machine learning principle as well to do the job coherent and efficient. 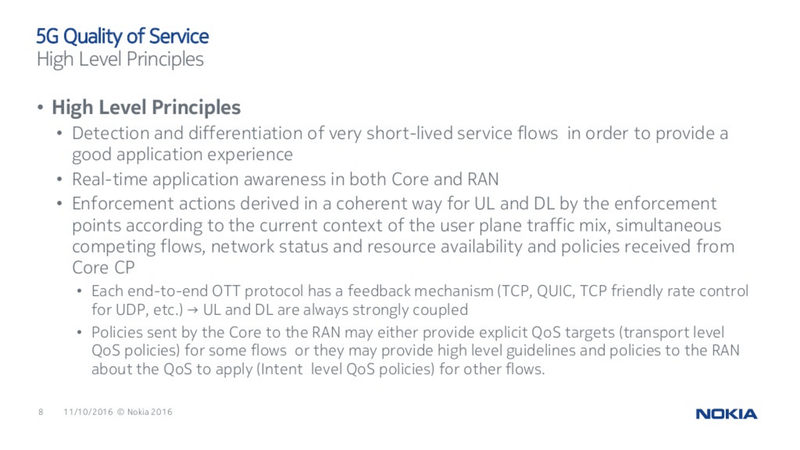 Interesting to note that nokia clubbed this QoS presentation with network slicing too. 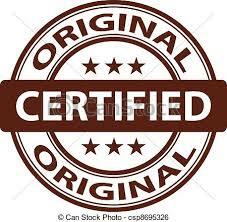 As, what I think, for the ease of implementation of the concept, as the underlying network requirements for providing the required coherency, efficiency and flexibility. Network slicing will also bring network multiplexing for the efficient delivery of application and you build your network based on the application requirement. A RAN may connect to differnet core and vice-a-versa. These set of end to end networks are really application defined. 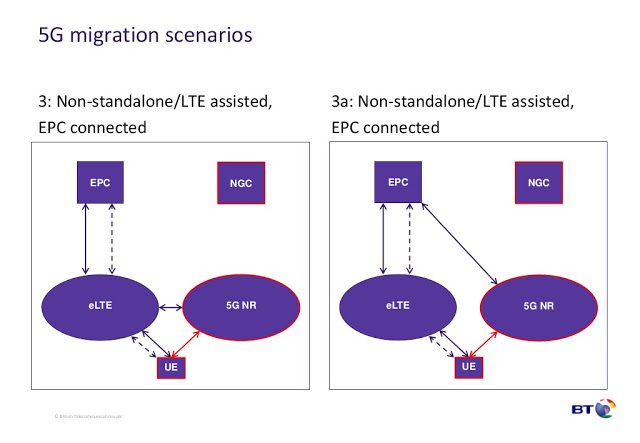 That is why, I said earlier, 5G is about Application Defined Networking. You may find the presentation from nokia either from slide share directly or through my previous blog.